Goode’s Company will be holding drill practice in Seattle’s Cowen Park on Sunday, May 4th, at 1:00pm. This practice is open to anyone who would like to attend and will be in casual modern clothes, so if you have an interest in 16th century military actions, feel free to drop by. We won’t be shooting muskets in the park because it makes the police nervous. You may want to bring a pair of work gloves if you have delicate hands, but they are not required. 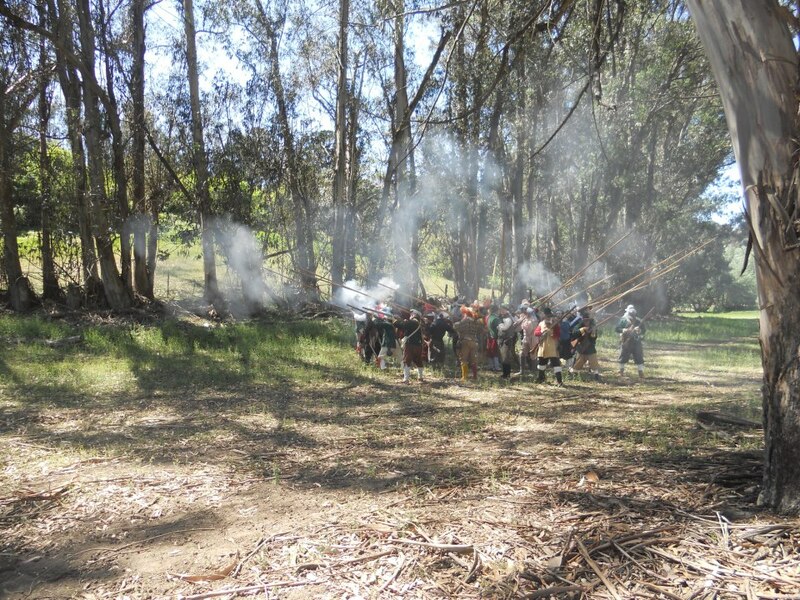 A small contingent of Goode’s Company made the long trek to Vallejo, California, to the School of the Renaissance Soldier’s tenth annual Actions of the Low Countries pike and shot (and horse and artillery) event, and have returned safely to tell the tale. 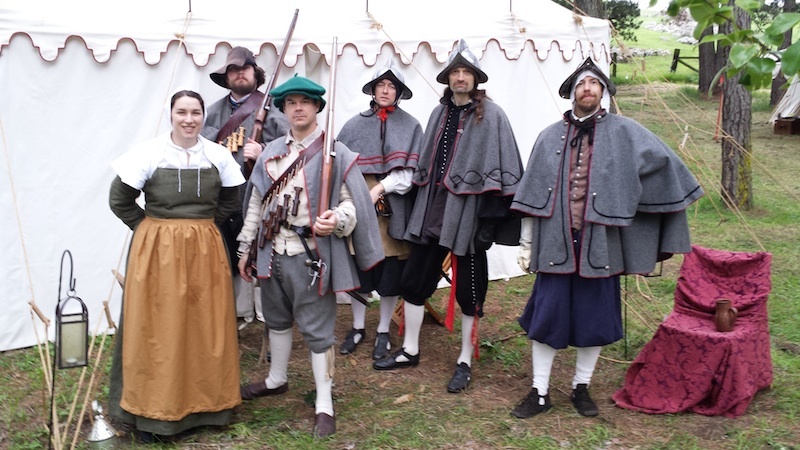 We contributed four pikemen, two shot, a camp follower, and our own brand of quiet Shepshetshire competence. Also, rum and general badassery. May 4th : (1:00pm) Pike Practice @ Cowen Park. 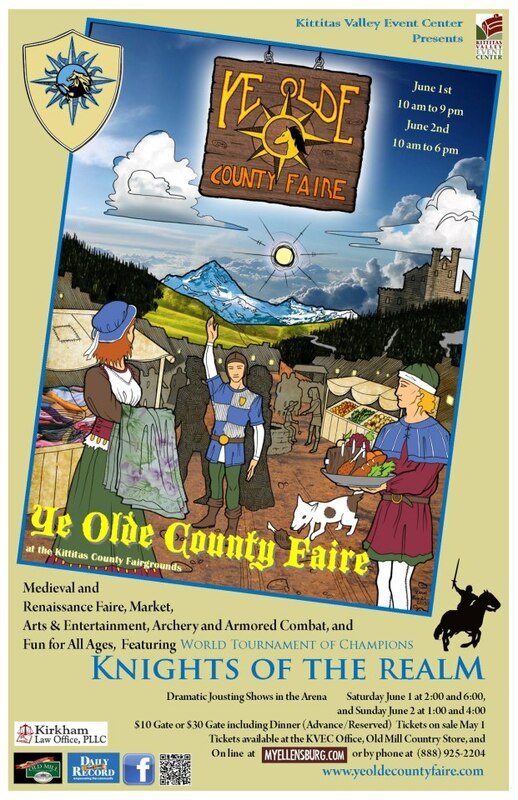 May 31 – June 1 : Ye Old County Faire @ Ellensburg Fairgrounds. May 17 : Armed Forces Day @ Joint Base Lewis-McChord. July 12-13 : Summer Muster @ TBD. 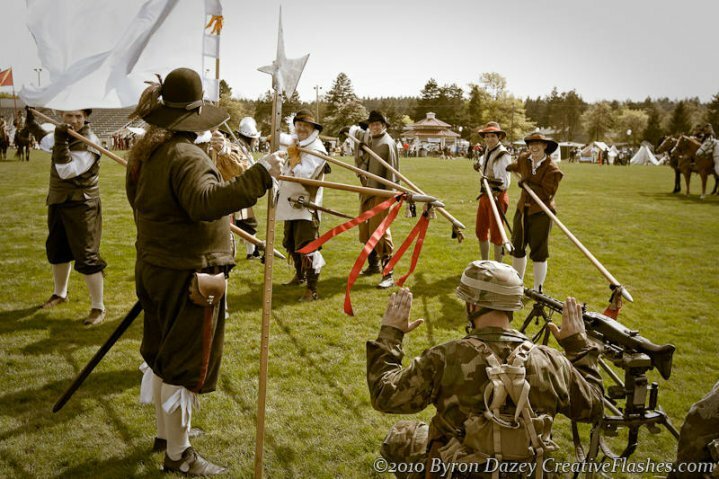 August 2-3/9-10/16-17 : Washington Midsummer Renaissance Faire @ Bonney Lake. 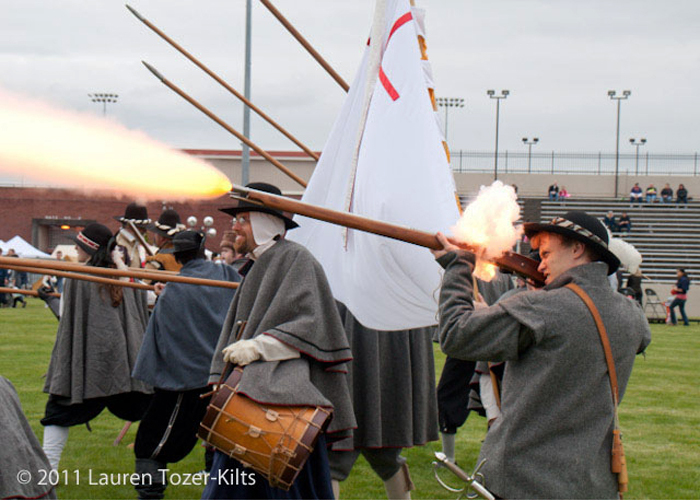 Goode’s Company will be holding pike drill practice on May 4th, 1pm at Cowen Park in Seattle. Anyone can come and no historical clothing is required. We will be covering basic motions of the pike as well as marching and defensive formations. More details. Goode’s Company is sending a contingent to the Low Countries (or rather Vallejo, California…but at 60ft above sea level, that’s still kinda low) for Actions of the Low Countries X. There will be pike and muskets and cavalry and cannons. What more could a disheveled, underfed, and ill-paid Elizabethan soldier ask for? Wondering if Goode’s Company is a group that would suit you? On June 30th, 1:00 – 3:00pm, we will be having drill practice at Cowen Park in Seattle. This will include an introduction to the company for interested newcomers, and also some basic training in actions with the pike. Period clothing is not required for this event. At three o’clock or so, we will stow the pikes and repair to the Lieutenant’s house nearby for an afternoon cookout, libations, and socializing. Anyone is welcome to drop by and see what we do. If you have questions, feel free to drop us a line using the contact form on our website or via our Facebook page. 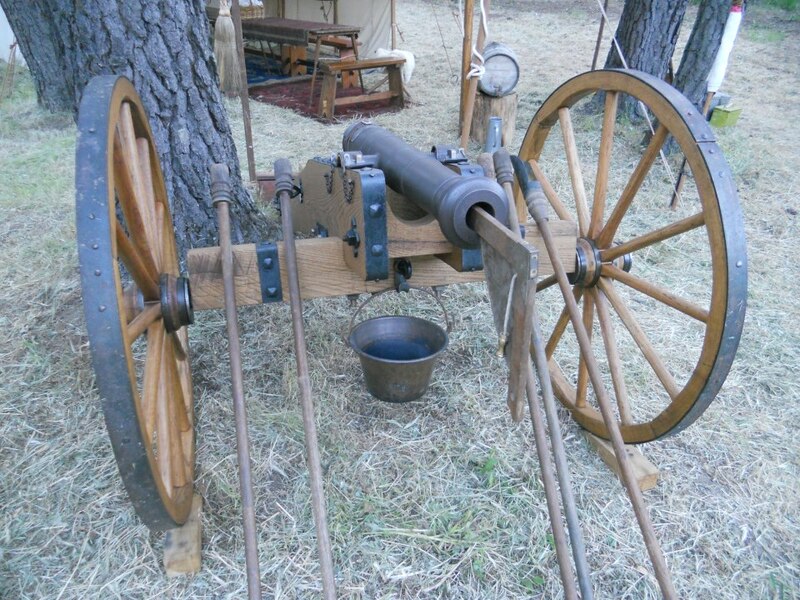 Goode’s Company will be doing a pike and shot demonstration and display at Ye Olde County Faire in Ellensburg, WA, on June 1 & 2. 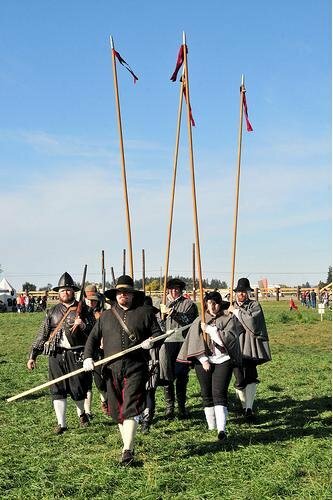 On the weekend of April 20th, Goode’s Company contributed some of Shepshetshire’s finest infantry to Her Majesty’s expeditionary force in the Low Countries of Holland where, if their stories in the tavern are to be believed, they met and routed 1000 5000 10000 Spanish soldiers in an afternoon. In any event, our adventure at the Actions of the Low Countries was a fine one. 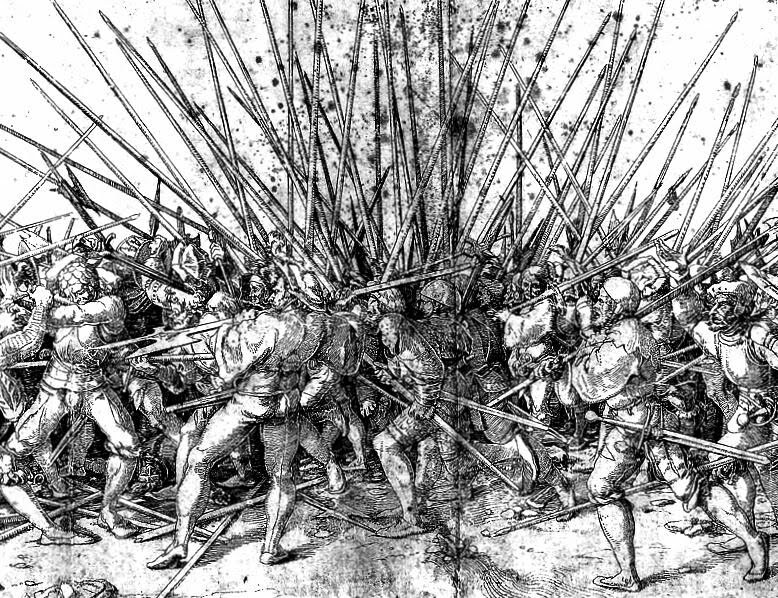 The pikemen piked, against other pike and against lesser weapons, and the musketeers…um…musketted loudly and often. And we had a chance to work with other groups from all over the west coast and a bit inland. Our thanks to The School of the Renaissance Soldier for putting on this fine event.